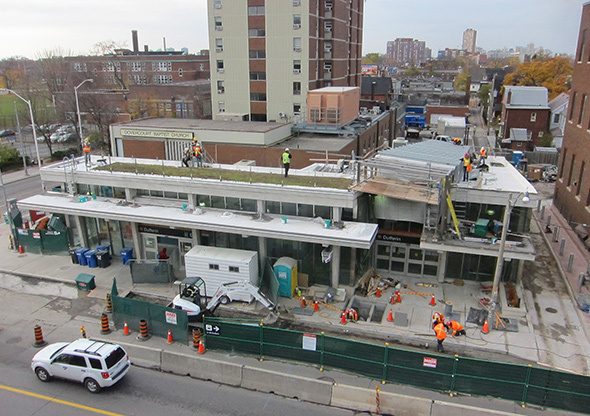 Dufferin station has been a construction site for four years, but finally, on Monday, the finishing touched will be unveiled following a $30 million renovation that has dramatically transformed what was once one of the TTC's most dreary stations. But before that can happen, the TTC needs to close the station for two full days over the weekend to complete last minute jobs, like wall, ceiling, and floor finishes, and deep cleaning. Spokesman Danny Nicholson says trains will be bypassing the station Saturday and Sunday and shuttle buses will be covering the gap between Ossington and Lansdowne. The 29 Dufferin bus will not be affected by the station closure, he says. 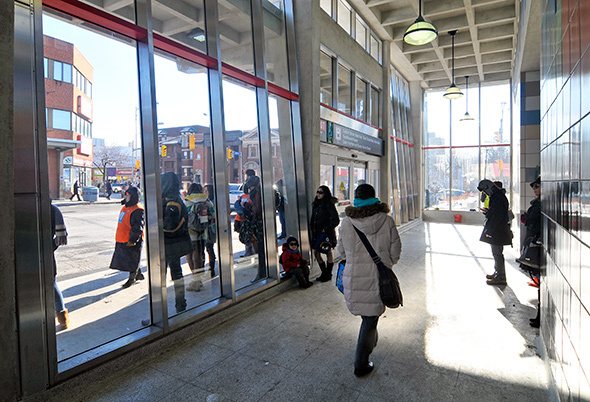 When Dufferin reopens it will become the 33rd fully-accessible TTC station. 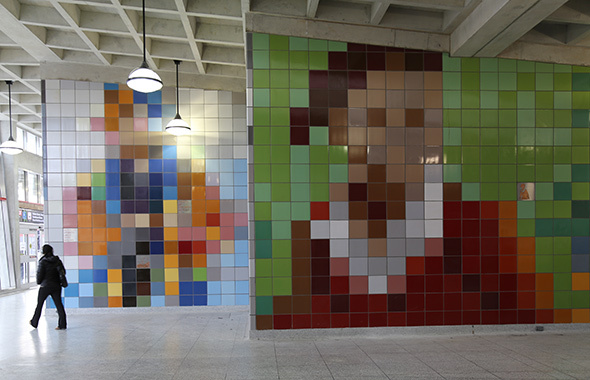 Workers have installed elevators between street level and the subway platforms as well as upgrading the 48-year-old building's interior design. 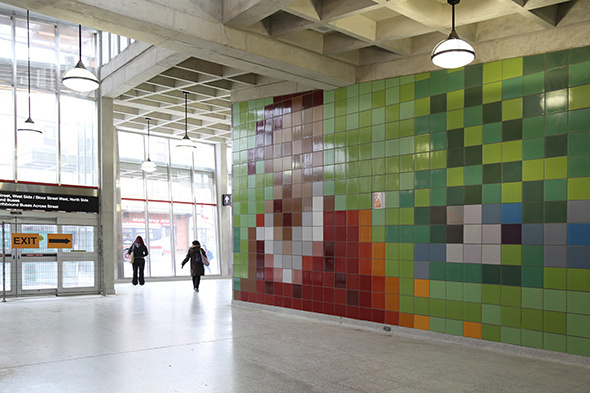 New interior artwork that looks like it's from an 8-bit video game covers the walls, but, best of all, indoor waiting space is coming for the beleaguered riders of the Dufferin bus. "There's been new tiling, a second exit, a green roof, bike parking outside, canopies over the sidewalk, just a fresher look for the station," Nicholson says. "It looks really, really good. New art, lots of art. I think the public will find it quite enjoyable."